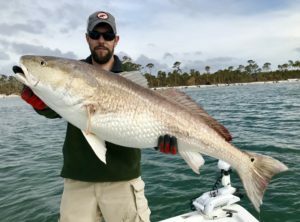 Redfish, Speckled Trout, Flounder, Triple Tail, Spanish Mackerel and Sharks oh my! These are just some of the many species of fish we will be targeting on the shallow grass flats of St. Joe Bay and Indian Pass. 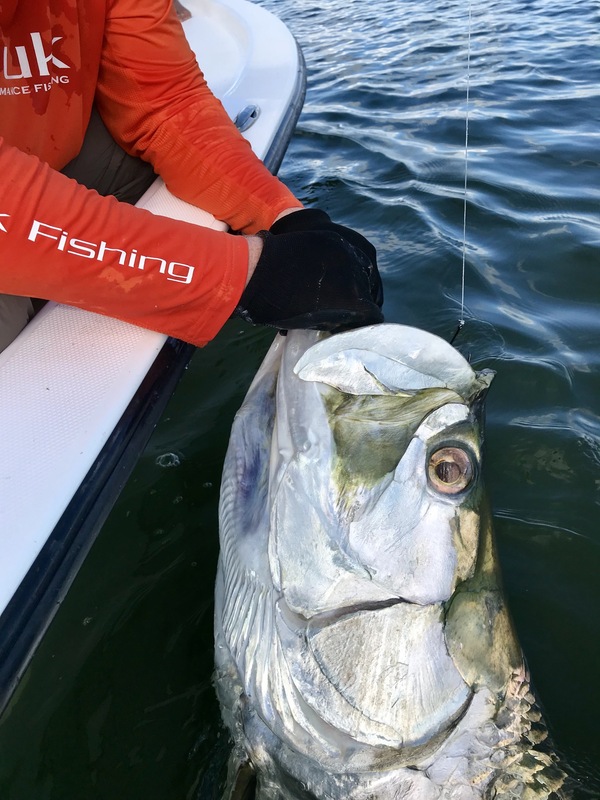 These areas offer some of the best bay fishing in all of the Florida panhandle. Bay trips are relaxing yet exciting with lots of action, beautiful scenery and are fun for the whole family. 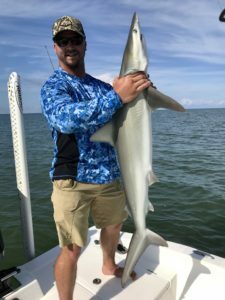 The beautiful waters of St Joe Bay, Cape San Blas and Indian Pass offer some of the best shark fishing in the state of Florida! 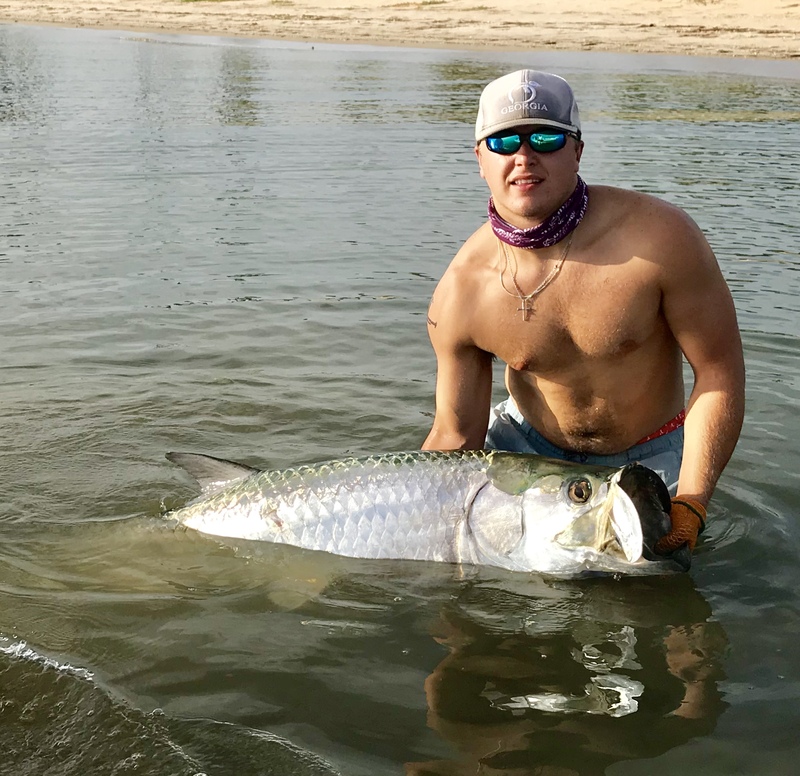 These extremely aggressive and hard fighting fish will give you a fighting thrill you can talk about forever! 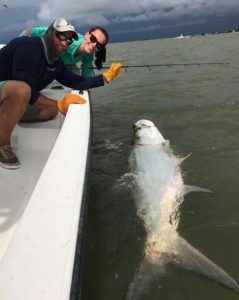 If you’re after a large species to catch, this is for you! Hammerhead Sharks, Blacktip Sharks, Bull Sharks and Spinner Sharks are some of the shark species we’ll be targeting! Come chase the “Silver King” along the beaches of Indian Pass, Apalachicola Bay and Cape San Blas! Tarpon are a very large and hard fighting game fish that migrate through our area from June to October. 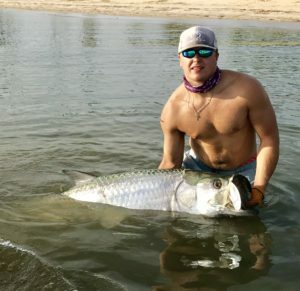 We will be sight fishing these aggressive fish along the beaches looking for schools that are feeding on the surface! 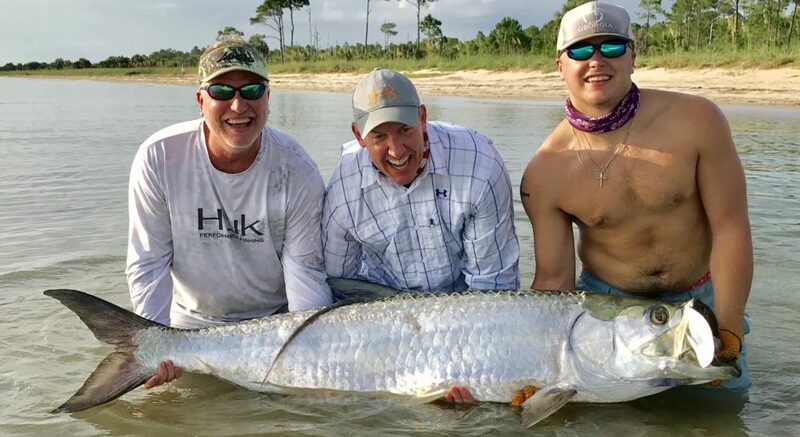 This type of fishing is extremely exciting as these fish take to the air immediately when hooked and fight for a very long time! All fishing equipment, gear and licence is provided. Please do not bring or preapply aerosol sunblock, it will stain the fiberglass and ruin the upholstory. Thank you.